This year, we decided to send a little treat out to some of our clients. 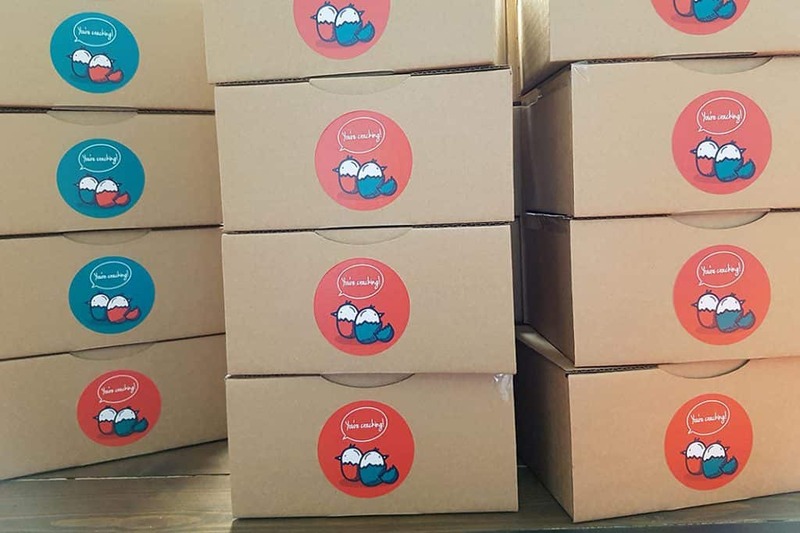 We love a direct marketing project, so creating some fun Easter egg boxes seemed like a no-brainer, especially as Brits eat an estimated 80 million Easter eggs every year! It turns out that creating your own Easter egg boxes has more components than you might think. As well as sourcing chocolate eggs, plain egg boxes, and exterior packaging, we also ended up buying a bag of straw to nest the treats in the postal packs! Our egg-spert designers then had free rein to create stickers and wraps for the boxes. 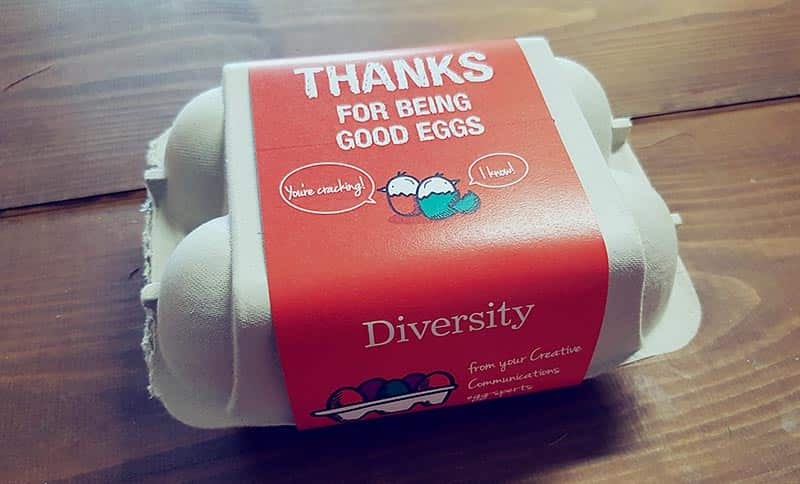 Complete with a range of egg-based puns (‘You’re a good egg!’ and ‘More than you egg-spect’ were the favourites) they came up with these lovely, brightly-coloured wraps and branded Diversity stickers. Wraps came in two colours, depending on which part of the business were sending the gift. The final piece of the puzzle was the design of a set of highly-personalised cards. We wanted every message to be personal and so we created individual messaging in each pack. ‘Thanks for brightening up our wet Wednesday afternoon!’ was just one of the lovely messages we received! Direct marketing can be fun and can be a great way of really engaging with either existing or potential clients. Want to do something similar for your customers? Get in touch. Email hello@diversity.agency or call (0115) 967 3767.